Looking to kickstart your week with a bang? Well, superclub BOA has the answer, or rather the ‘Story’, with the launch of their new Sunday ladies’ night. Taking place at the Al Habtoor city superclub, Story ladies’ night will launch on Sunday January 27 and promises unlimited free drinks for ladies from doors opening at 11pm until the club closing at 3am. The new urban night will also see popular Dubai DJ Devon Kosoko take up deck duty, spinning urban hits sure to fill the floor all night long. It’s the latest ladies’ night offering from the rooftop superclub, found on Level 32 of the V Hotel in Al Habtoor City. Ladies are already treated to complimentary beverages until 2am at BOA’s popular ‘High Heels’ ladies’ night, which packs out in the chic lounge every Wednesday from 8pm. 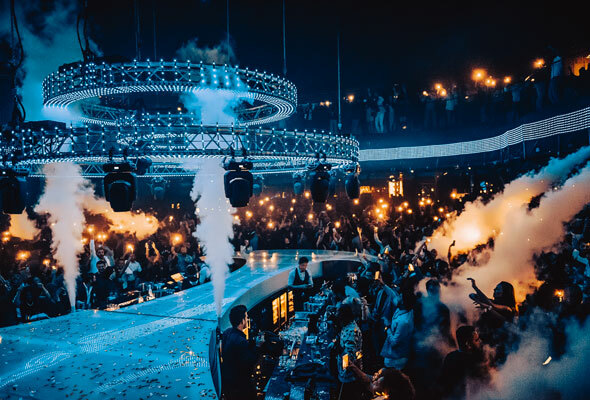 The superclub also runs a popular urban night on Fridays, Bling Fridays, which packs out with party people until late and sees Dubai’s DJ Bliss headline.